Traveling to Pescara, it’s hard to fear a team that only has 12 points on the season. That’s six points from draws, three points because an opponent was judged to have fielded an ineligible player, and three points from a coaching change miracle win. So it’s not the team I fear so much, but rather the coach. That coach, of course, is Zdenek Zeman. He’s coached 17 different teams in his career, some of them multiple times. And yet his only claims to fame are winning Serie B two different times and winning Serie C2 once. So I’m not worried about him chasing Juventus for a title now or any time in the future. But what I am worried about is his ability to create brilliant individual wins. His infamous attacking style can throw even the best teams off guard, and take three impossible points any day of the week. So watch out, Milan. On Sunday, you’re entering Zeman Country. Pescara particularly loves Zeman, as it was under his cloud of smoke that they were promoted to Serie A after the 2011-12 season. And not only were they promoted, but players such as Verratti, Immobile, and Insigne were nurtured into the spotlight that year under his watchful eye. But this time around, Zeman took the reins after Oddo was sacked. 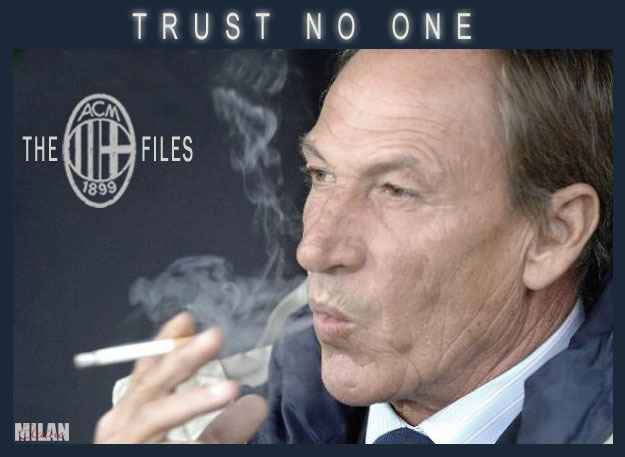 And in true Zeman form, they destroyed our feeder club, Genoa, 5-0 in their first match under the Smoking Man. Despite the fact that they’ve only really won that single game this season, anything is possible under the man with the leather face. Of course, it didn’t pay off for them vs. Atalanta before the break, who defeated i Delfini 3-0. For that particular smackdown, Zeman lined up: Bizzarri; Coda, Bovo, some guy called Muntari, Biraghi, Zampano, Verre, Memmushaj, Benali, Crescenzi, and Cerri. 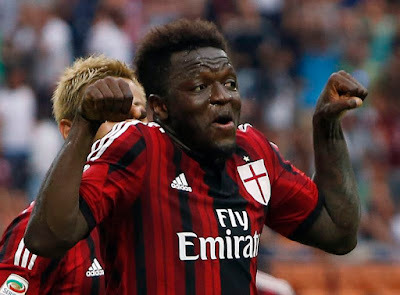 Wait did I just say some guy called Muntari? Oh yeah, that guy. The one who just scored his first goal since returning to Serie A the week before vs. Udinese. So you know he’ll be ready to hurt us… either physically or on the scoreline. Or both. Speaking of hurting, Zeman will be missing Caprari, Stendardo, Vitturini, Pepe, and Gilardino to injury. And yes, it’s that Gilardino. The man of so many exes. Anything can happen with Zeman. The man is a living, smoking legend, and he manages to make the impossible happen, especially in a single game. Personally, I’m really hoping that Pescara still have only 12 points at the end of this one, because we need the mentality and momentum heading into the Derby the next week. I am also hoping that Muntari doesn’t score or injure any of our players, but that might be too much to hope for. Besides, if Pescara take points from us, it will be one more slap in the face to our ex-Milan Oddo. But despite facing the most bottom of the bottom of the table, I’ve learned to never count your cigarette butts until they’re trashed. Because you never know what you’re going to get in Zeman Country.